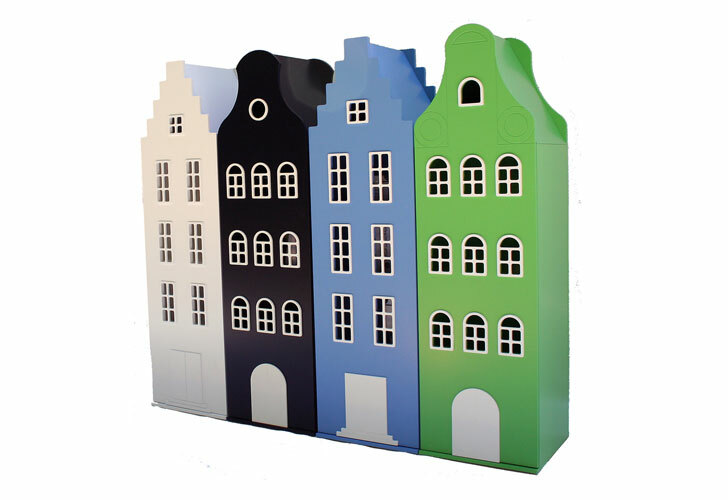 Inspired by the unique architecture of Amsterdam's 17th century canal houses, these children's storage cabinets are nothing short of charming. 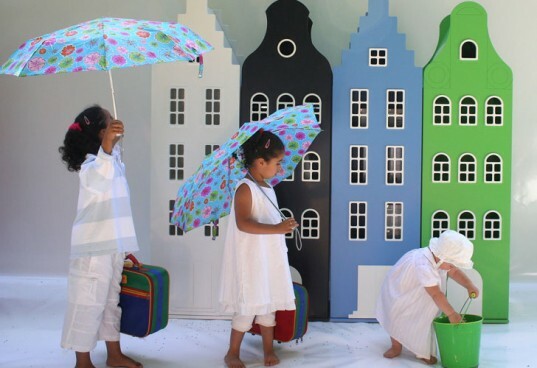 Designed by Dutch company Kast van een Huis, the Amsterdam collection can house clothing, shoes, coats, toys, books and more. The playful Kast van een Huis Amsterdam collection can add character and organization to any number of spaces from children’s rooms to play rooms to living rooms. The storage closets are made from FSC-certified MDF and finished with non-toxic paints. The canal house cabinets are available in a number of colors ranging from apple green and pink to black and white. The clever cabinets were the winner of the 2010 Prix Découverte at Maison&Objet in Paris, but are now available in the US thanks to distributor Cool Kids Company. The playful Kast van een Huis Amsterdam collection can add character and organization to any number of spaces from children's rooms to play rooms to living rooms. The storage closets are made from FSC-certified MDF and finished with non-toxic paints. The canal house cabinets are available in a number of colors ranging from apple green and pink to black and white. The clever cabinets were the winner of the 2010 Prix Découverte at Maison&Objet in Paris, but are available in the US thanks to distributor Cool Kids Company. Fun and functional decor that adds playfulness to a child's space.